From the ancient Chinese to St. George to Dungeons and Dragons, these mythical beasts have had a place in the human imagination. Now, with his own imagination running rampant, Tom Wolfe turns his artistry to the dragon. As always, he brings creativity and skill to the task, along with a desire to share the joy of carving with his readers. 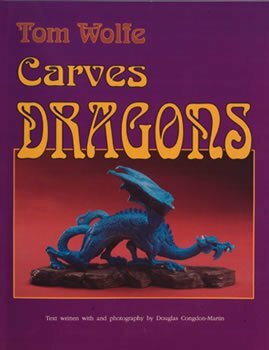 All steps to carving a dragon are illustrated in color photographs, with concise descriptions of what to do and what effects you are trying to achieve. 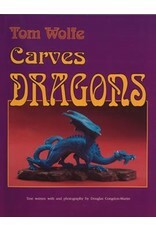 In addition there is a gallery with patterns and photographs of three other dragons that can be carved using the same techniques.These are dramatic carvings that will challenge the carver and delight those who see the final product.Tom uses both traditional hand carving tools and rotary tools to get the effects that make these dragons so realistic. The carver will find the insights into the techniques for using all these tools quite instructive.